Why buy a Chilli Penguin Stove? You are buying a quality, exceptionally efficient, made to order, top of the range, high performance, British designed and manufactured product with full back-up service available. Our aim is to do what we do really well. We are a small company, we do not mass produce. 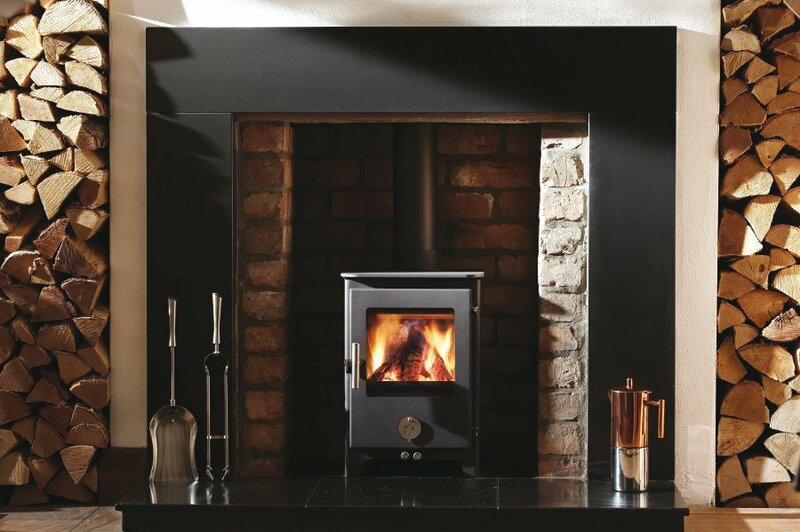 All our stoves are made to order, we know every single stove that goes out of our door. Our customers really matter to us, we speak to most of them. We want you to be completely satisfied. We are proud of the fact that we sell a lot of our stoves to customers who have received a personal recommendation from another customer. The steel body, handles and grate are guaranteed for 7 years when purchased from an approved and registered supplier, with the exception of the Chilli Billie. For full details of the Guarantee see our guarantee page. Although stoves seem like old technology, there are technological advances which have greatly improved their efficiency. They are much more than black boxs with a chimney. Here at Chilli Penguin Stoves we have developed a unique clean burn system for our stoves. Air is drawn in from the underside of the stove through stainless steel channels within the firebox.These channels direct jets of oxygen directly into the fire and down the back of the glass. This pre-heated secondary combustion air ignites the unburnt combustable gases which would otherwise be going into the atmosphere. The advantage of this is that fuel burns more efficiently and puts less harmful gases into the atmosphere. The other effect that is acheived is the blackening of the stove glass is minimised, giving a clear view of the fire. Our stoves have been independently tested to EN 13240, the latest European standard. Some of our range have achieved up to an 82% efficiency burning wood/ 87% burning solid fuels. Our stoves are amongst the highest efficiency rated stoves currently available in the UK. An efficiency rating is the measurement of how much of the woods energy is converted into heat by the stove. To give you an idea of what this means; an open fire is typically between 20-30% efficient so requiring 3 times as much fuel as a Chilli Penguin stove to release the same amount of heat into your room. This has clear cost and resource implications for the user. Each stove is manufactured by us, with the exception of the Chube range. The Chubes are made to our design criteria by another workshop in South Wales where they have the manufacturing capability to produce the curved doors. Our stoves are all designed and manufactured in Wales. All our component sourcing is done with in the UK. We are committed to supporting British manufacturing. All our stoves are made to order. The stove that we are making is your stove. From when the order is confirmed that single stove is being made specifically for you. They are available in range of colours. We know that are cheaper stoves on the market but we believe that when you buy a Chilli Penguin stove you are buying a top quality, top of the range, British product. A stove is a life time product. You won’t be replacing it year after year, so you want the best. Our interest is in design, fuel efficiency, quality and customer service. We do what we do, well. Our customers tell us that and our independent stove testing tells us that. We stand 100% behind our designs we are very proud of them. We can offer replacements parts and repairs. If we don’t have it in stock we will order it for you. If we can’t order it we can often fabricate it ourselves. We designed the stoves so we know them inside out. We have 10 years of installation experience as well. If you have any questions at any time during the process of purchasing and installation and at any time after that we are here to help. We are on the end the phone. We will always respond to email or telephone enquiries. We do like to hear from customers. Our stoves are available through our approved stockist network. We want to make sure that you have accurate and current advice available to help you select the most suitable stove in our range and that your installation is safe and complies with all current legislation. Our stockists will either employ HETAS trained staff or be able to recommend a local HETAS qualified installer. Our stoves are not available online. We receive a lot of letters of thanks and positive feedback. We always appreciate this. It makes a big difference to us. We believe that satisfied customers are the strongest recommendation that any product can get. We hope you choose one of our stoves and we look forward to speaking to you.